Are You Looking For The Best Dry Puppy Food For Your New Best Friend? Welcome To Our Complete Guide To Choosing The Right Puppy Kibble. We Check Out The Benefits And Drawbacks Of Dried Food, And Find Out Which Brands Come Out On Top. We all want to give our puppies the best start in life. One of the most important considerations when welcoming a new pup into our lives is food. Food will provide the fuel for our puppies’ daily activity, and also the building blocks she needs to grow. But with so much conflicting advice it’s hard to know what to think. 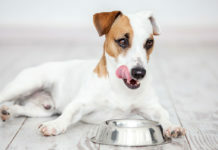 Dry food has the benefit of convenience, and is usually the cheapest option too, so what’s the best dry puppy food and how can it help our tiny furry friends? Growing is hard work! Puppies need all the help they can get. Nutrition is important at every stage of our dogs’ lives, but never so much as when they are puppies. A healthy and well balanced diet will have a huge range of positive implications later in life. More than this, a poor diet can actually be seriously harmful to growing pups. Lack of proper nutrition at this stage of life can even be fatal. Needless to say it’s always better to save the homemade diet experimentation for when your dog’s older and a bit tougher. So, it’s always best to go for a food made specifically for puppies. Even the best dry puppy food does have it’s downsides, but it also has some key advantages over the wet options. 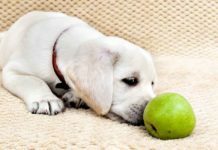 Your puppy will really appreciate having something to crunch on while they’re teething, and wet food can’t give them this. It is also easier for you to store, comes in larger quantities and lasts longer too. So what makes a good dry puppy food? And what should we look for to find the best dry puppy food? 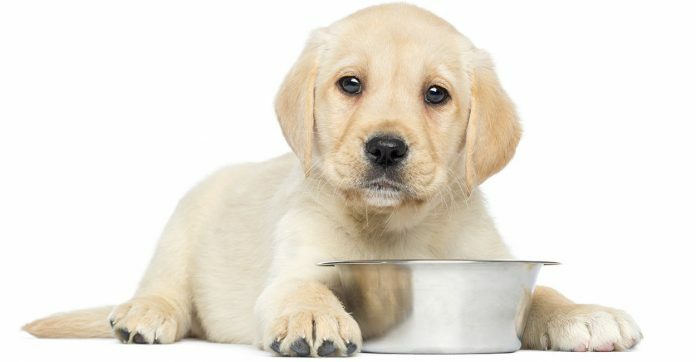 What is the best dry puppy food? Dry food is great because it doesn’t have that wet dog food smell, and it’s usually quite a lot cheaper. This owner friendly format is one of the more popular, but it can have its pitfalls. Manufacturers will sometimes stretch cheap food with fillers. These are ingredients that have no real nutritional value to your dog. Although the creators of these foods are a lot more careful when it’s a puppy specific product, sometimes corners are still cut. Dogs are descended from wolves — carnivores that survive almost entirely on meat. Despite years of selective breeding, they still have an almost identical stomach, but have adapted to a few human foods. With this being said the ideal diet for a dog is still one that consists mainly of meat. The best dry puppy food will therefore contain high quality meat for those all important proteins and fatty acids, along with nutrients that will assist their growth. 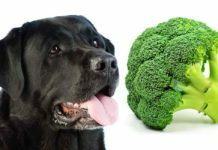 Size itself can also be a factor, with some puppy foods marketed specifically toward large breeds. 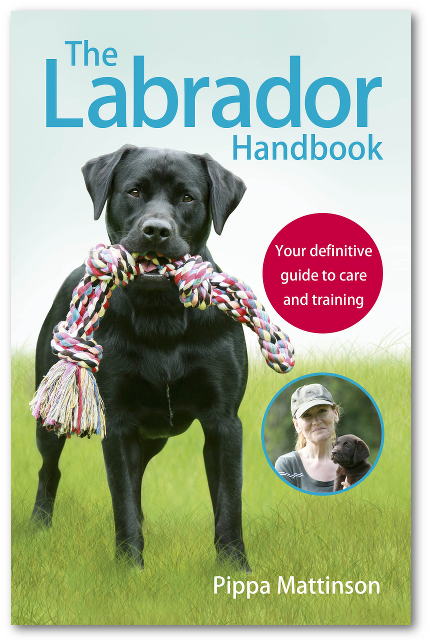 But for most dogs this won’t need to be taken into account. The best dry puppy food for Labs will be the same as any other similarly sized puppy. Puppies can sometimes have problems digesting grains. Fortunately there are numerous grain free dry puppy foods available. Most dogs can digest grains, but this is a fairly recent development as wolves cannot. As you might expect, this causes problems for some pups. Occasionally young dogs find themselves less adept at processing this food. In addition to this some pups have allergies to certain grains. For these reasons, we have a number of grain free puppy foods to choose from. One such food is Wellness’ Complete grain free puppy food. As well as being grain free, there’s also no soy in Wellness Grain Free Puppy Food. Soy is often used to replace grains, but can be an allergen for some dogs. Wellness puppy food’s main protein is chicken, but it also contains a good amount of salmon. This is beneficial because salmon is rich in fatty acids essential for a number of bodily functions. The reviews are extremely positive on this one, so it’s well worth a try! Our next grain free food is from Natures Recipe. This grain free Nature’s Recipe puppy food uses pumpkin and sweet potato instead of grains to bolster its energy content. It’s well represented on the protein front, with the largest ingredient by volume being chicken. There are omega fatty acids and vitamins added to promote healthy skin and overall support growth. The reviewers’ pups love this food, and yours likely will too! Next, lets look at some of the most health oriented puppy foods available. Health is a number one priority for any new puppy owner. We want our new dogs to be in top condition, so they can take anything the world throws at them. By providing our puppies with a balanced and well thought out diet we can bolster them against disease, and ensure they grow into healthy adult dogs. Although most puppy foods have health as a main consideration, some are clearly more focused on this aspect. Our next contender for the best dry puppy food brand is Hill’s. Hills’ science diet range has a good reputation across the board. This brand is available for tons of different pets, but let’s focus on their puppy food. Hill’s science diet puppy food is one of the most popular products in this category, and with good reason. All the ingredients are high quality, aimed around easy digestion for immature stomachs. The main ingredient is chicken, followed by barley and pork. Having two meats in the top three ingredients will bolster the protein and fat present in this food. There’s also a few other nutrients added to help make this food more complete and health-conscious. Fish oil adds DHA to the mix, which is one of those all important omega fatty acids vets are always going on about. Antioxidants are also well represented with vitamin C+E added with a focus on immune health. All in all this seems like a great option. Our next super healthy food is from another popular brand, Royal Canin. Royal Canin’s kibble dog food for puppies is designed to help your puppy’s digestive health, and also their dental health. Crunching down on this kibble puppy food will help to clean and maintain your growing pup’s teeth. There’s a good amount of meat product in this dry food as well, which is exactly what your puppy’s stomach has evolved to digest. 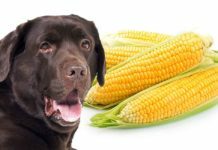 If your dog has any kind of grain allergy/intolerance this might not be the best choice, as it contains wheat gluten and corn, but most pups will think this food is great! Our next example in the healthy section is from Purina One. It’s almost impossible that you won’t have heard of this brand, but lets take a closer look at what’s going on inside their Smartblend range. Purina One’s puppy food is made with chicken first. This healthy food contains omega 6 and all the benefits that come with it. Purina one smart blend is also packed with antioxidants to help your pup fight off disease as she goes through her young life. 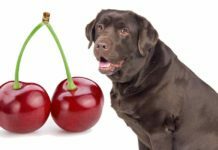 Some of the more health conscience humans prefer their food organic, but is this something we can use to benefit our pups too? Whether it’s because of concerns over GMOs, or concerns about pesticides and hormones, a lot of us would rather eat organic food. The good news here is that you can adhere to these same standards when it comes to your puppy. But what is the best dry puppy food in the organic isle? This organic puppy food from Castor & Pollux will give you peace of mind, and help your puppy to grow big and strong. This dry puppy food by Castor and Pollux is certified organic by the USDA. It’s another food on this list where the main ingredient is chicken. 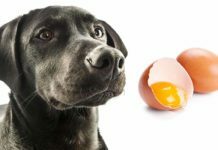 This helps ensure that your pup is getting the protein and fat that he thrives on. Castor & Pollux puppy food is aimed around complete nutrition, providing everything your puppy needs. In this case doing so with all the benefits of organic food. It is a little more expensive than some of our previous examples, but this is what we expect from organic foods due to the more costly methods of producing them. Every pup is different. Some have allergies and intolerances to different food. But on the whole, if you go with a good quality brand you will do just fine. The best dry dog food options cater to your growing dog’s health requirements, and they taste good too. 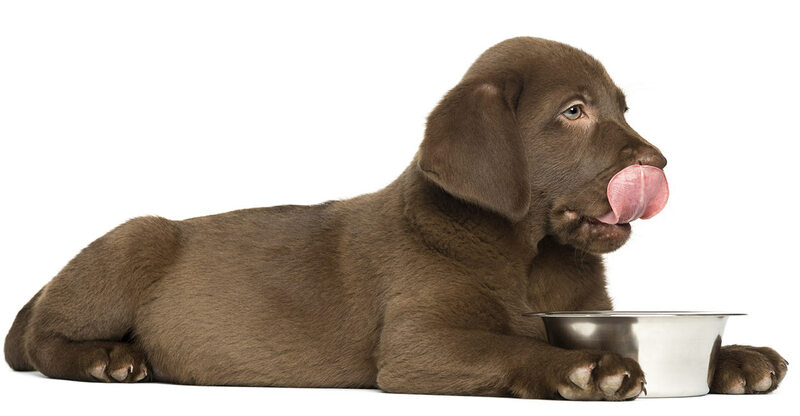 We’ve compiled the above list of some of the top dry puppy food available to give you some options to choose from, based on your puppy’s individual needs. Remember, if you’re changing from your puppy’s current diet, do so gradually. 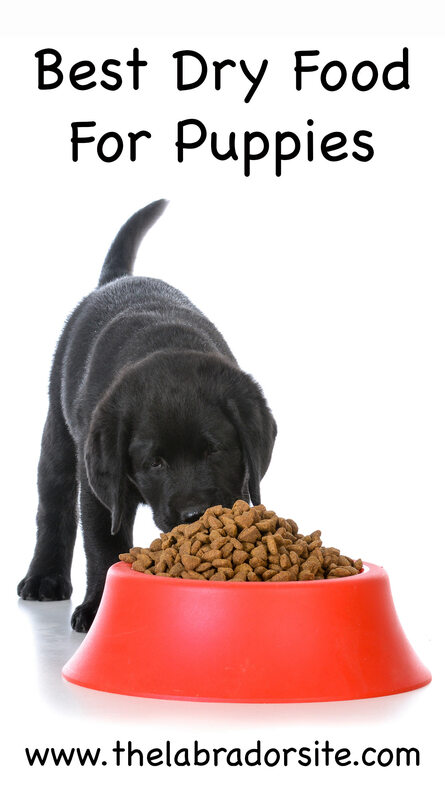 Slowly replace larger amounts of your puppy’s current food rather than suddenly switching. This will give your pup some time to adjust. They’re young, so a sudden change can upset their stomachs. What’s your pup’s favorite dry dog food? Let us know in the comments. I have a 1 1/2 year old Chocolate Lab that now weighs over 115 lbs and is all muscle. He has always been fed Wellness Core. First for puppy now large breed. How about Pro Plan Focus? Iams puppy large breed? Is this a decent one?